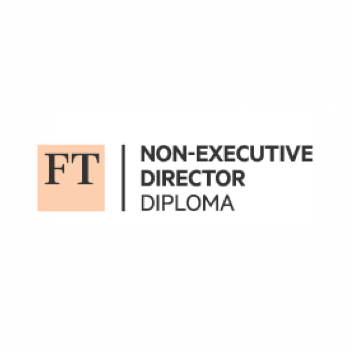 Earners of the FT Non-Executive Director Diploma have the skills required to be an effective non-executive director. These individuals have the skills and knowledge needed for any non-executive role, including legal liabilities and duties of a non-executive; the correct structure and operation of a board; audit and financial reporting; internal control and risk management; and they possess the behavioural skills needed to ensure an effective contribution to the board. Complete a 6 month blended programme. The five modules are delivered online and designed to be studied at learners own pace. There are two workshops, attendance at which is compulsory, during the course. The first half day workshop provides an introduction to the course and the topics studied. The second two-day workshop concentrates on the all important issue of effective boardroom behaviour, both on an individual basis and providing an understanding of group dynamics (25 hours in total). There are three assessments throughout: A Learning log to show candidates have reflected on, identified and started to address their own particular behavioural skills. A case study of 15,000 words based on a recent Annual report of a real company and a three hour controlled finance assessment.